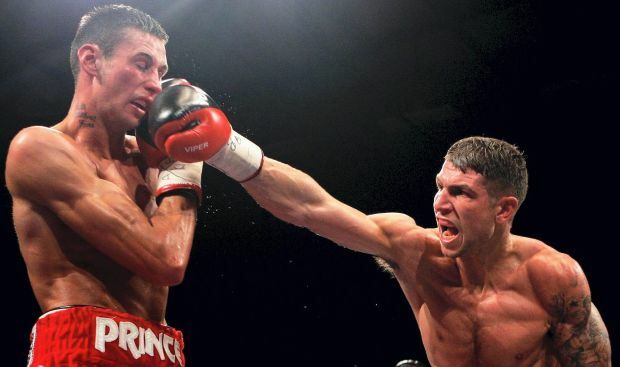 Brian Rose upset Droylesden's Prince Arron to capture his British light middleweight title by split decision in Wigan. The 26-year-old challenger, from Blackpool, was deservedly awarded the fight by two of the three judges after outboxing his more heralded but younger opponent. Rose made a superb start to the fight, having the better of the first two rounds before rocking his opponent back in the third. Arron, 23, looked hesitant, understandably so given that on the rare occasions he did throw his hands he was generally caught on the counter by Rose. The champion came into the fight in round five and the middle stages were evenly matched, though he needed to string his punches together and was told by his corner that he needed to win the last four rounds. But his most dynamic shots came after the bell for the end of round 10, when the fighters had to be separated by the referee, and though Arron shaded the closing stages Rose was a worthy winner.